There can be many things to do in a Traditional Malay wedding. Some of the steps are omitted or combined depending on the arrangement of both sides (man/ girl and their family) taking into consideration time, cost, requirements and practicality. Merisik (Visit and observe) - This custom is practiced to observe or see. The man's parents or representatives pay a visit to the girl's house, ensure that the girl is eligible for marriage, as well as to get to know her - what does she do, does she know how to cook, etc. It's also an opportunity for the girl's family to find out about the man. Normally this step is skipped because in this day and age they would already know each other well enough before deciding to tie the knot. Meminang (Proposal) - The male side sends a propose delegation consists of immediate family members to propose and ask the girl's parents for her hand in marriage. Bertunang (Engagement) - Barangan hantaran (gifts) consisting of a ring, clothing, food... will be given to the future wife. The ring is put on the girl's finger as a symbol of engagement. Both families will discuss about the akad nikah/ wedding ceremony, wedding gifts, amount of money for the girl (mas kahwin)... A small feast will be held usually at the bride-to-be's home. Adat Berinai - The bride and groom will have henna applied on their hands the day before akad nikah. Akad Nikah (Ijab & Kabul/ Offer & Acceptance) - Enactment of the contract to make the marriage valid according to Islam. The groom sits facing the wali (father of bride)/ the imam. They hold hands in handshake manner. The imam will say the words as to offer the bride in marriage and the groom replies to accept the offer. He prays and advices the couple. Marriage contract is signed and the man provides mas kahwin (gift money) to the bride. 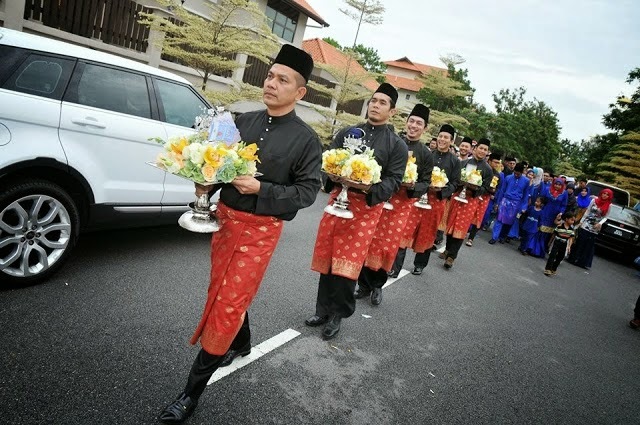 Bersanding (Enthronement) - Starts with the groom's procession of friends, relatives, musicians (kompang band), carrying 7 or 9 trays of hantaran (gifts) and people waving bunga manggar (palm blossom) to meet the bride. The couple will sit on a pelamin (dais) where family members, relatives and guests sprinkle yellow rice and scented water on them for blessing. Each guest will receive a bunga telur (hard boiled egg decorated with artificial flower), as a symbol of fertility. 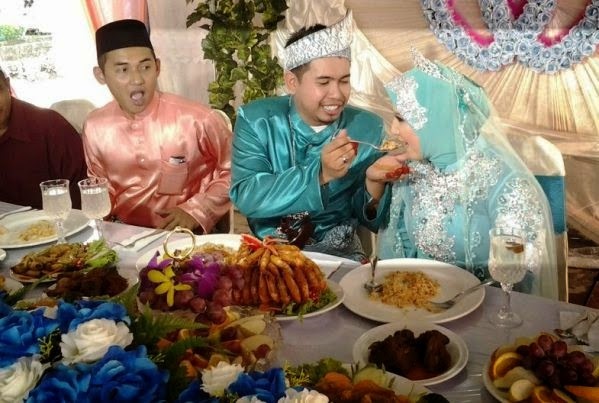 Kenduri (Wedding Reception) - Feasting and celebration. Wedding food and drinks are served to the guests. Makan Beradab involves the bride, groom feeding each other sweetened rice. They are seated together with their family at the VIP table of the reception. 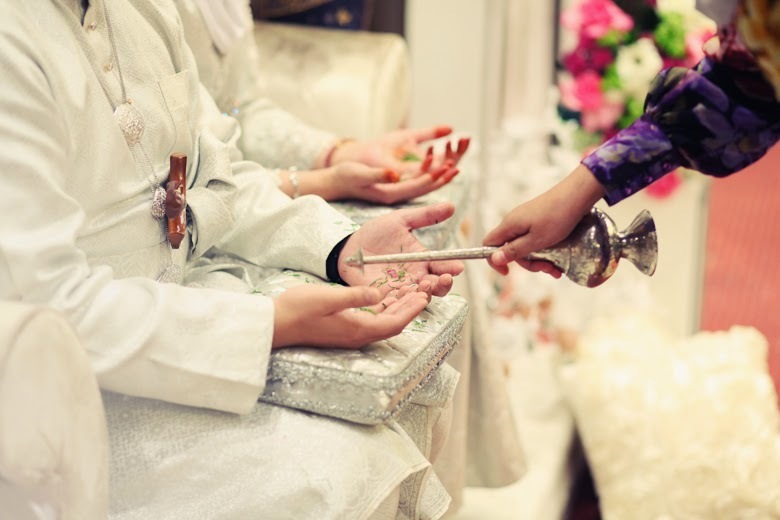 Besides the traditional aspect of the wedding, the couple needs to follow some procedures and steps set by the Islamic law of each state in Malaysia- as included below, which may vary in different state. (for details check the info on the List of Jabatan Agama Islam below). ***NOTES: You can download the general guidelines here: Prosedur Perkahwinan, Penceraian dan Ruju-by JAKIM. Besides the respective Jabatan Agama website of each state, couples can now make the application online through: sppim.gov.my/sppim/bno (Only applicable to Negeri Sembilan, Melaka, Perlis, Kedah dan Perak). Check out the List of Pejabat Agama Islam Daerah (PAID) for your area. Pre-marriage course - Provide information to brides-grooms-to-be for building a family according to Islam, how to achieve a happy marriage and prevent conflicts. It is in accordance with the Modul Bersepadu Kursus Pra Perkahwinan Islam (MBKPPI). Information about marriage application procedure, forms to be filled, will be provided as well. The course can be registered at any Jabatan Agama Islam in your area or online-not all states. Duration is 2 days. Fee is about RM80-RM120. Fill in forms (online or offline), prepare supporting documents. 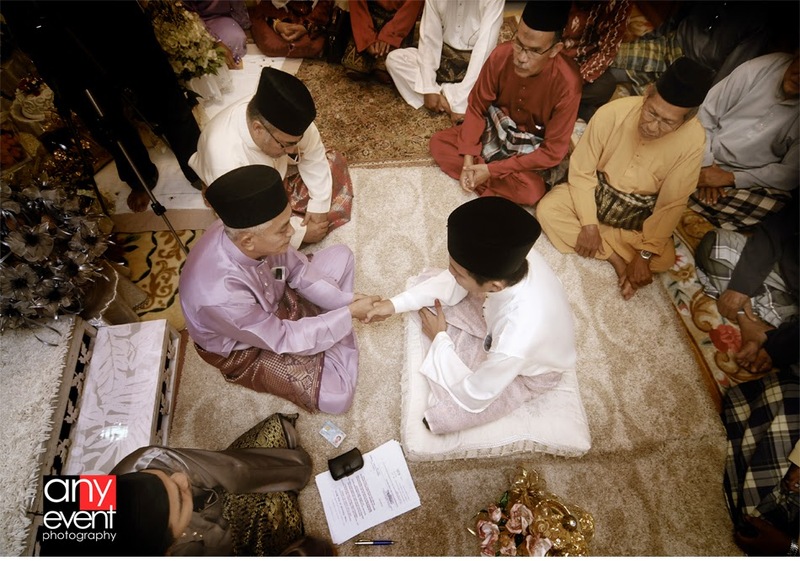 Within a certain timeframe before the akad nikah date, get approval from the Penolong Pendaftar Nikah (PPN)/ Tok Kadi and arrange the date for nikah. Submit the application to Pejabat Agama Islam Daerah (PAID) to get Kebenaran Berkahwin. Get Surat Perakuan Nikah from Pejabat Agama Daerah.